Everybody is dressed up and looking their best and some family members may have flown thousands of miles to attend the wedding ceremony. 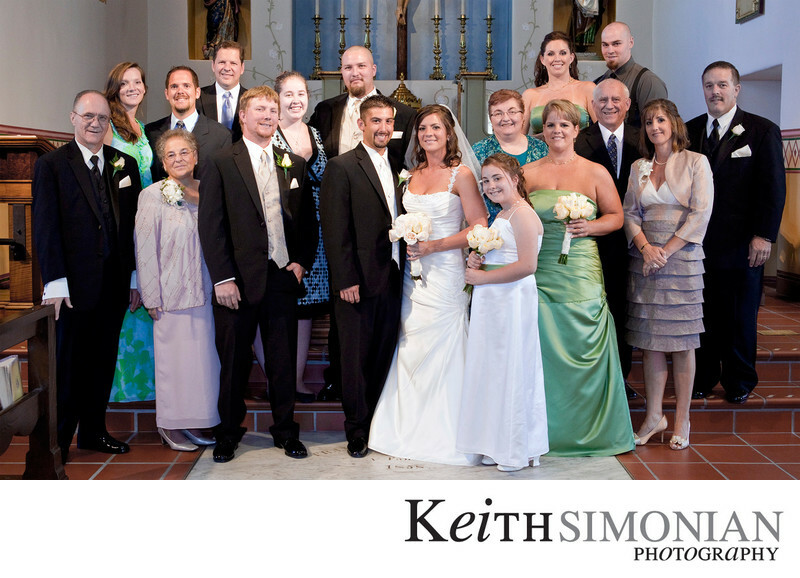 Just after the ceremony is a great time to capture the family members with the bride and groom in a portrait. As this sometimes can be a large group, using the steps of the church alter helps create separation so that all the family members can be seen.